Help Stop a Toxic Bayer-Monsanto Merger and Save Our Bees! One-third of all the food we eat depends on pollinators. And honeybee populations are currently plummeting, in large part due to toxic pesticides. Now, a new merger between Bayer and Monsanto would threaten honeybees and other pollinators even further — by cementing in place the chemical-intensive agricultural techniques that imperil our global food supply, increase costs for farmers, and reduce competition and innovation. Tell the Department of Justice to reject this toxic merger and protect pollinators and our food supply. Don’t wait to speak out — all public comments must be in by August 13! Don’t wait to speak out to save pollinators and our food supply from a new chemical giant — all public comments must be in by August 13! Dear Department of Justice: As a concerned citizen who understands that the future of our food supply depends on healthy pollinators, I’m writing to urge you to stop the proposed takeover of the Monsanto Company by Bayer AG -- a merger that would have devastating results for farmers, pollinators, and the American people. Specifically, this merger could reduce competition and innovation, increase costs and limit planting options for farmers, and cement in place chemical-intensive agricultural techniques that threaten the existence of pollinators and imperil the global food supply. 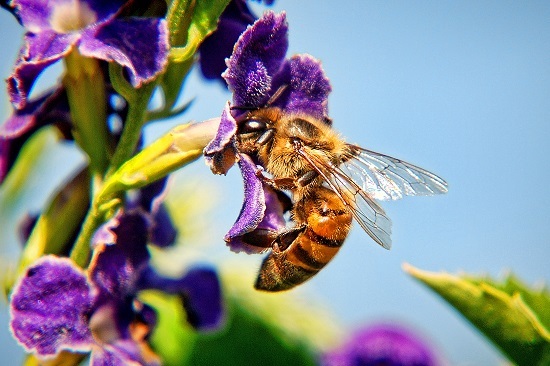 About one-third of all the food we eat depends on bees and other pollinators. Yet they are dying at record rates, and toxic pesticides are a prime culprit in their decline. Last year alone, beekeepers saw more than 40% of their hives die. If bee populations continue to plummet, nothing less than the future of our food is at stake. I call on you to protect our farmers and our food supply by rejecting this dangerous merger.